Soca and calypso artists are being asked to stop listing their music under reggae or dancehall under international streaming platforms. The Trinidad and Tobago Music Company Limited (MusicTT) made the appeal via its Instagram page. 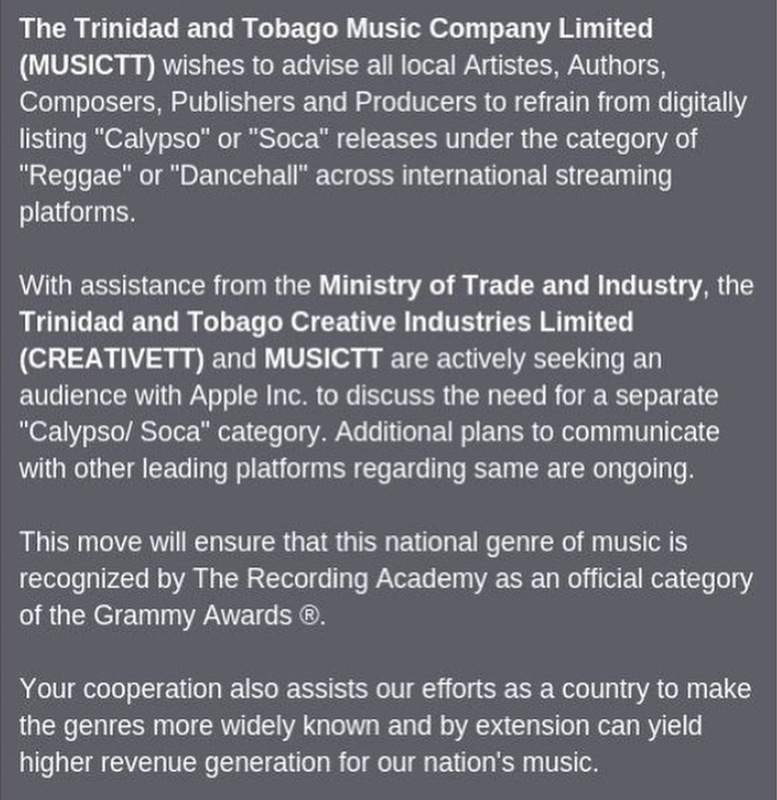 "The Trinidad and Tobago Music Company Limited wishes to advise all local Artistes, Authors, Publishers and Producers to refrain from digitally listing "Calypso" or "Soca" releases under the category of "Reggae" or "Dancehall" across international streaming platforms," the notice said. MusicTT said with assistance from the Ministry of Trade and CreativeTT, they are seeking an audience with Apple Inc to discuss the need for a separate Soca/Calypso category. 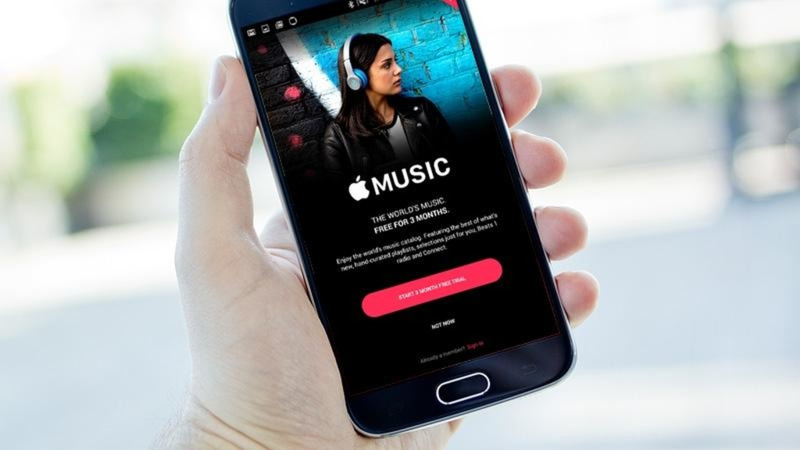 MusicTT said additional plans to communicate with other platforms regarding same are ongoing. The company said that this move will ensure the national genre of music is recognised by the Recording Academy as an official category for the Grammy Awards. 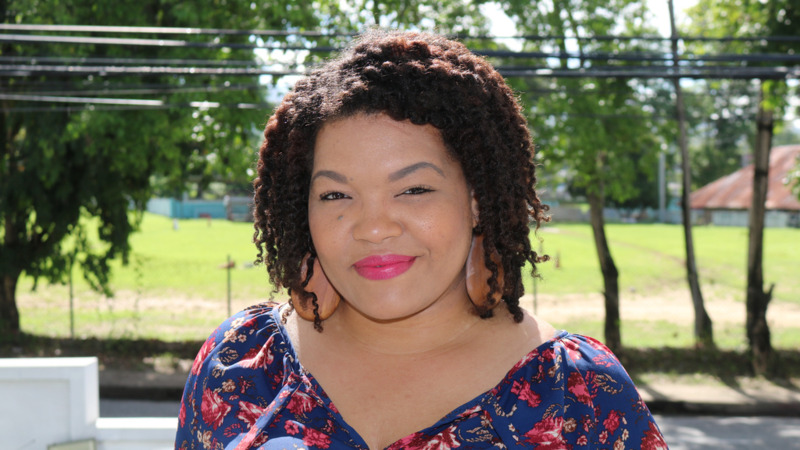 When contacted, Melissa Jimenez, General Manager of MusicTT, told Loop that the action was prompted by Cardi B's posting of a Destra Garcia song in which she questioned why it was listed under reggae. Jiminez explained that while Soca and Calypso have been listed as categories under World Music since 2014, the big artists have not continued to list their music under reggae thereby building up that category. "Instead of helping us, the country, to build the category, they are contributing to reggae which will cause us to remain under World Music until these platforms see the numbers. We have to be able to get the numbers to get out from under World Music," she said.